Nifty opened flat but saw the buyers back in control of the situation to keep the index above 5400 for the better part of the day and closed near the highs at 5471.75, a huge gain of 63.30 points. This is the second day when the index has closed with more than 1% gain after the huge mauling in the last few days. On a week on week basis Nifty lost 36.10, though it was around 250 points at one point of time. The broader market was positive, with 805 advances to 475 declines. Based on Option Table the range developing for expiry is 5300-5600. Call option 5500-5600 added 23.64 lacs huge amount of OI with short covering seen at 5400 and below strike prices. Put option 5500-5400 added 25.90 lacs huge amount of OI with short covering seen at 5700 and above strike prices. 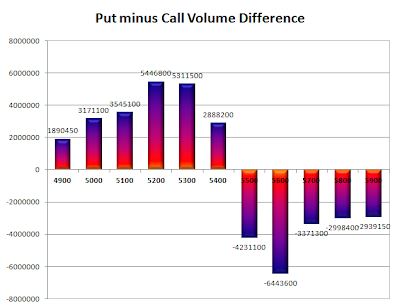 Highest accumulation on Call option 5600 at 84.12 lacs & 5500 at 76.89 lacs whereas Put option 5300 at 77.36 lacs & 5400 at 76.10 lacs. 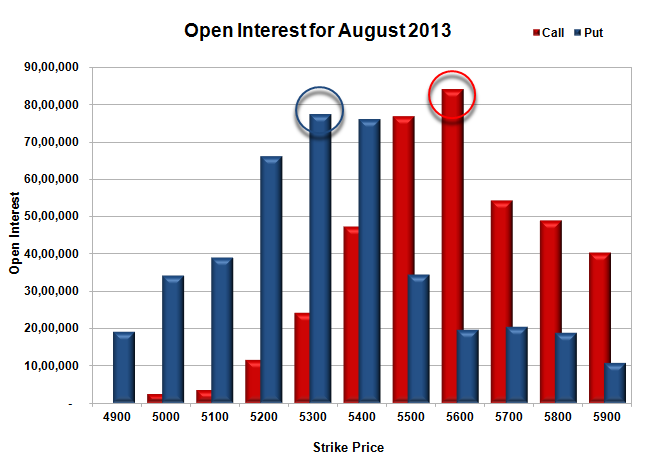 Nifty Open Interest is at 2,32,82,300 down by 2,63,650, with increase in price, most probably huge short covering. Bank Nifty Open Interest is at 27,24,875 down by 1,85,350, with increase in price, most probably huge short covering. FII’s sold 12.18 lacs Futures, mostly long liquidation, as their net OI decreased by 10247 contracts and the average price per contract comes to around 5309.54. FII’s future open contract as on date is 643109. PCR Open Interest (Volume) is still very weak at 0.877. 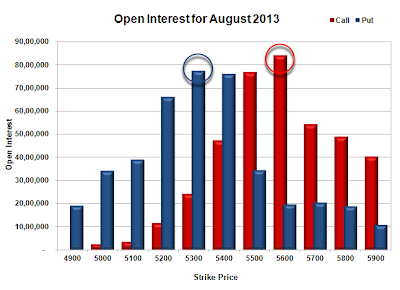 Initial Support now at 5400, with huge OI of 76.10 lacs, below that at 5300 with highest OI of 77.36 lacs. 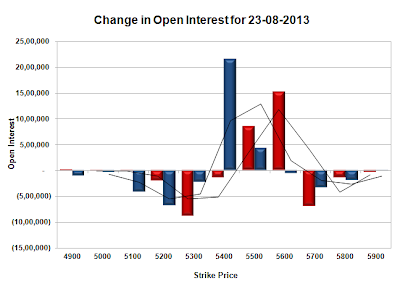 Resistance at 5500, with OI of 76.89 lacs and above that at 5600 with highest OI of 84.12 lacs. Day Range as per Option Table is 5354 - 5546 and as per VIX is 5398 - 5545 with 5443 as the Pivot.